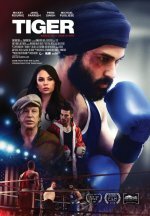 Inspired by the true story of Pardeep Singh Nagra, an aspiring boxer must fight for his religious beliefs after being banned from the sport for refusing to shave his beard. Tiger release date was Friday, November 30, 2018. This was a Limited in theaters release.